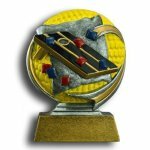 Great for Corn Hole tournaments, cookouts, or just for fun! 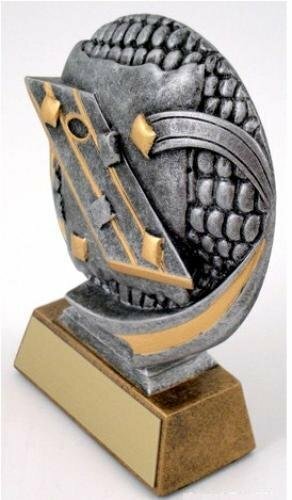 We offer a variety of corn hole trophies for any champion. 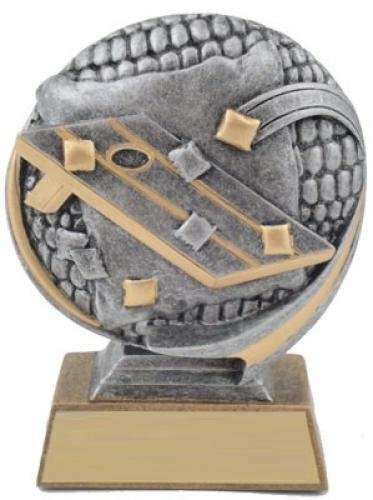 The 3D Motion Corn Hole Trophy has a brushed gold laser engraved plate with black letters. 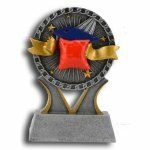 This corn hole award is an inexpensive trophy with great character.